While February may be a dreary month in most of the country, on the Mississippi Gulf Coast, the good times roll! 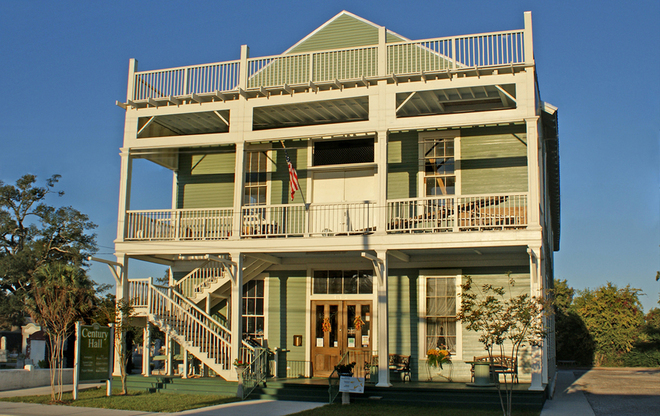 The official Mardi Gras season lasts for weeks and Bay St. Louis is a traditional hub of activity. And since the February Second Saturday Artwalk falls on the 11th, shortly before Valentine’s Day, the Bay St. Louis Old Town event merges carnival merry-making with a celebration of sweethearts. With gallery openings, live music, and extended shop hours, the Artwalk has become a regional attraction throughout the year. To add to the festivities, Second Saturday “Hot Spots” are featured each month, highlighting different Old Town merchants. This February, the spotlight falls on a high-tech enterprise and a historic music venue. 100 Men Hall (303 Union Street) has an exciting history as a social anchor for the African-American community and as a hopping blues club on the fabled “Chitlin’ Circuit” in the mid 1900’s. Yet the building would surely have been demolished after Hurricane Katrina if not for the Herculean efforts of owners Kerrie and Jessie Loya. The couple learned about the decrepit building’s legendary past, understood its significance to the community, and fell in love. Their passion led them to tackle a several year restoration project and reopen the venue to host top music acts. 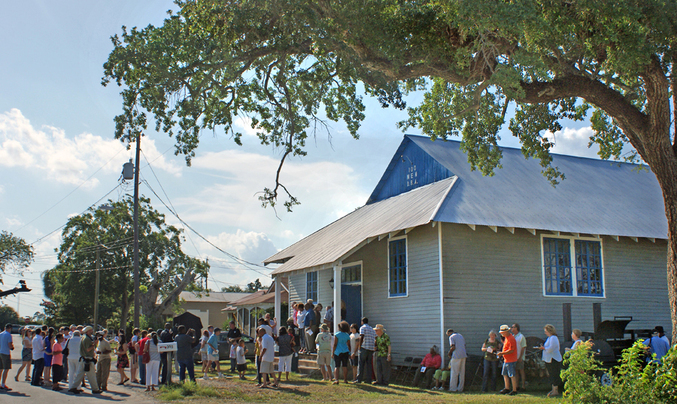 In June of last year, the building received a coveted Mississippi Blues Trail Marker. Recently, Jesse Loya and Coast R&B icon Pat Murphy, who is also 100 Men Hall Board President, have formed a house band, The House Kats. Playing “blues with a touch of 60’s soul,” the band will have their first public performance on Second Saturday. Kerrie Loya sees exciting possibilities ahead with the addition of a house band. She explains that during the years of the “Chitlin’ Circuit,” headliners frequently performed with a house band comprised of talented musicians from each venue’s area. The House Kats hope to accomplish the same thing, utilizing a pool of local talent from New Orleans to Ocean Springs. Doors open at the Hall at 4pm and the House Kats will play from 5-7pm. The concert is free, but a $5 donation is appreciated by the non-profit organization. 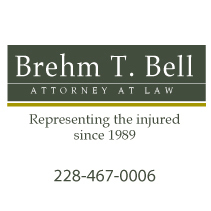 For more information, go to: www.100mendbahall.org or call 228.342.5770. Inside another historic showcase, Century Hall (112 South Second Street) also once served as a venue for live performance. After undergoing a massive restoration in recent years, it reopened as a home to art galleries, antique shops and other interesting merchandise. The recent addition of Lime Pi Digital offices brings the building firmly into the high tech world of the future. Lime Pi owners Amanda and Chad Whitney expressed enthusiasm about their new base of operations at Century Hall, both appreciating the building’s style and character. Their business offers web design, web marketing and Chad is a certified Google Ad Words Professional, as well as a Constant Contact Certified Expert. Lime Pi is also a certified Good Apps reseller. Chad Whitney jokes that he’s “always been a nerd,” and in 2002, he and Amanda opened their first e-commerce store, selling everything from solar panels to leg lamps. The enterprise was hugely successful, in part because they were able to “corner the leg lamp market,” while the product hit a hot trend. Working with e-commerce gave the couple an enormous amount of experience in web marketing and search engine optimization, so the entrepreneurs launched Lime Pi last year, specializing in web marketing for others as well. Chad also plans to offer classes in web-based marketing at the new Century Hall location, and is planning the first one in the near future. The Whitneys have also opened a new health food grocery in Century Hall, inspired by the couple’s need to find food for their family without colorings and preservatives. The website for Bay’s Natural Grocery is www.baysnatural.com and the web address for Lime Pi Digital is www.limepi.com. 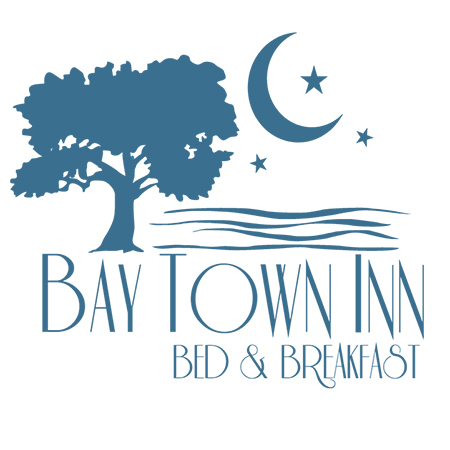 • 200 North Beach Restaurant, 200 N. Beach Blvd – The first new beachfront restaurant to open in Bay St. Louis. With full-menu, also featuring the Hurricane Hunter Bar with specialty drinks. • America’s Vacation Center, 131 Main Street – Special deals on cruises from New Orleans, including the brand new Royal Caribbean sailings. Save money and time by shopping with your local travel agency on Second Saturday. • Bay Books, 111A Main Street –Sun Herald’s cartoonist Tim Lockley signed his newly released book On Facebook… Everyone Knows You’re a Dog. Also hosting a book signing for local author Stephen Clark and his book Reality of Money and The Federal Reserve. Both Lockley and Clark will be signing from 5PM-7PM. • Bay Breeze, 111A Main Street – Best rated kayaks on the market, outfitted for your cruising or fishing needs. Rental kayaks, paddleboards and bikes ready, making it easy to explore and enjoy the beauty of Bay St Louis and Hancock county. • Depot Duck, 142 Blaize Ave (Depot District) – Old Town’s only Liquor & Wine store. Valentine specials start 2nd Saturday! $2 discount off APOTHIC, the Bay’s favorite red wine, and $2 off beautiful, break-resistant Tritan Crystal/Titanium stemware. • Fiesta, 131 Main St. – An assortment of handmade Talavera pottery, jewelry items and other one of a kind gifts for Valentines Day. • Gallery 220 and Clay Creations, 220 Main Street – Join Mayor Les Fillingame and the artists of Gallery 220 and Clay Creations, 220 Main Street, in celebrating a new mural on their building. Fine art, terrific crafts, food and beverages will be served up to all patrons. • George’s Girls, 126 Main Street in “Shops of Serenity (in rear of Maggie May’s art gallery) – Purveyors of Fine Linens. In time for Valentine’s Day, the newest line – elizabethW. Handcrafted indulgences for the bath, body, and home. Chosen by Oprah as one of her favorite things. • Gourmet Galley, 111C Main Street – Amazing new lines that have arrived from market, including Le Creuset Stainless cookware, WMF Stainless gadgets, USA Pan Bakeware, Nordic Ware, Go Vino, Rabbit Wine Openers and much more. • Identity Vintage, 131 Main Street – Large selection of “new” vintage jewelry, hats, handbags and other memorable gifts for your Valentine. • Jean Ann’s Fashion Express, 126 Main Street in “Shops of Serenity (in rear of Maggie May’s art gallery) – Featuring Kara Bachman of Diamondhead, jewelry designer of “Mediation Colleciton.” Bachman will present unique handcrafted wire pieces in silver and copper, accented with gemstones. Complimentary gift wrapping . • Mockingbird Café, 110 S. Second Street – Live bluegrass music by Rambling Letters, beginning at 7pm. New art by Kat Fitzpatrick, Katherine Dale Pohl, Aidan Pohl, Sue Louvier and Diane Chunn. Famous Mockingburgers and craft beer by Lazy Magnolia brewery. • Social Chair, 201 Main Street – February is American Heart Month so exercise by strolling to Social Chair. New sparkly jewelry, fun box signs from PBK for valentines. Mardi Gras tree with great selection of fleur de lis items. Free gift packaging and refreshments. • Temple Studio, 125C Main Street – Handcrafted ceramic art by Georgia Reeves, photography by Michael Reeves and paintings by artists from the Hancock County Senior Citizens Center, including art by Theresa James. • Twin Light Creations, 136 Main Street – All firepots on sale. New items for spring gardens arriving daily, also unique Valentine’s gifts. Refreshments. 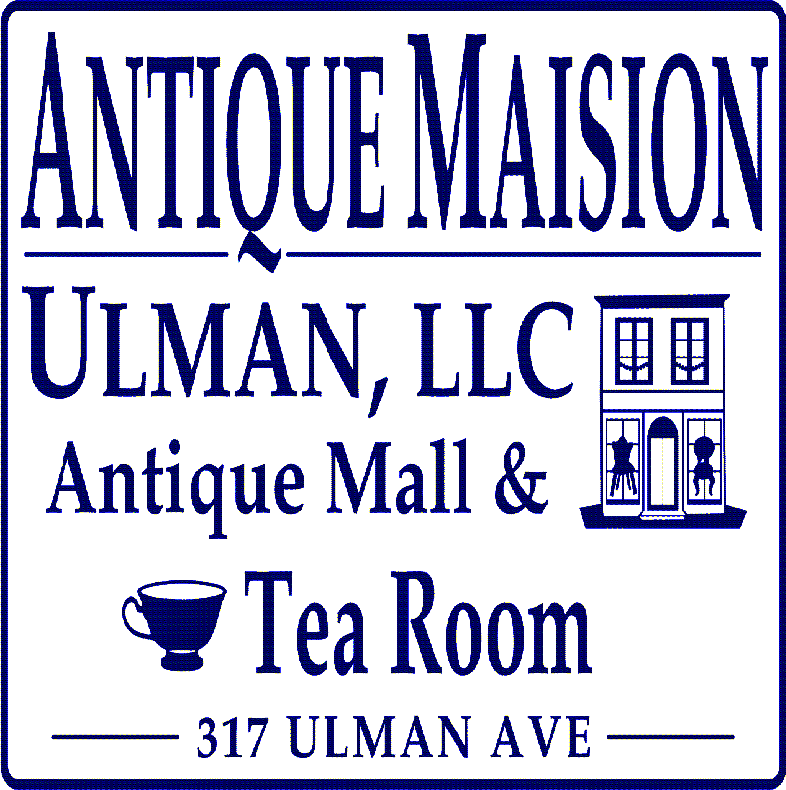 • Uptown Interiors, 111D Main Street –New dresses and tops in bright colors from Judith March, VOOM and many more. New styles from Rock Revival Jeans just came in! New seamless tanks, camisoles and t-shirts in spring colors have also just arrived, along with earrings, necklaces and bracelets.